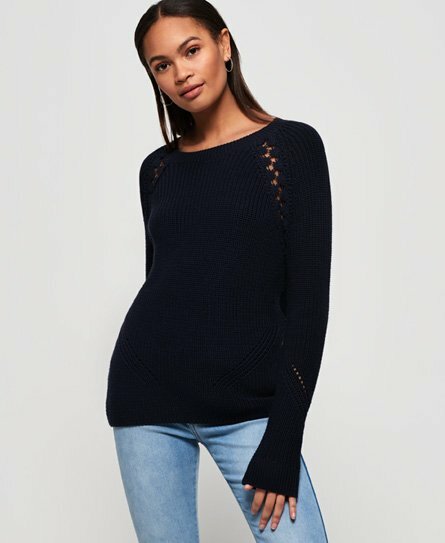 Superdry women's Bella lace ribbed jumper. This crew neck jumper features floral lace detailing on the front and a ribbed collar, cuffs and hem. Completed with a Superdry logo tab on the hem. Perfect for pairing with a pair of jeans and boots this season.